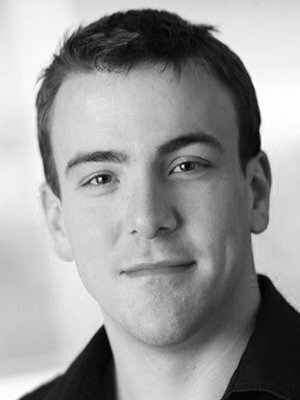 Tony Beck, tenor, is from Somers, CT. He most recently sang the tenor solos in Mozart’s Mass in C minor with the Cincinnati Chamber Orchestra and the role of Third Lackey in Cincinnati Opera’s production of Der Rosenkavalier. He has also sung roles with Cincinnati Opera in La Bohème, Die Meistersinger von Nürnberg, and The Magic Flute. Mr. Beck has twice appeared as a soloist with the Cincinnati Symphony Orchestra, on opening night in 2007 in Beethoven’s Choral Fantasia and in 2010 with the Coronation Mass and the Vesperae Solennes de Confessore of Mozart. He has sung in the chorus of Cincinnati Opera for seven consecutive seasons and with Cincinnati’s Vocal Arts Ensemble for five seasons. Other operatic roles include Nerone in L’incoronazione di Poppea and Testo in Il Combattimento di Tancredi e Clorinda, both operas of Monteverdi. As well as participating in many recitals in the region, he has as appeared as a soloist in Beethoven’s Symphony No. 9, Haydn’s Theresian Mass, Mozart’s Requiem, and the Magnificat of J.S. Bach, among others. Tony has sung with Opera Festival of New Jersey, Lyric Opera of Chicago, Spoleto Festival USA, and Il Festival de due Mondi, Spoleto, Italy.